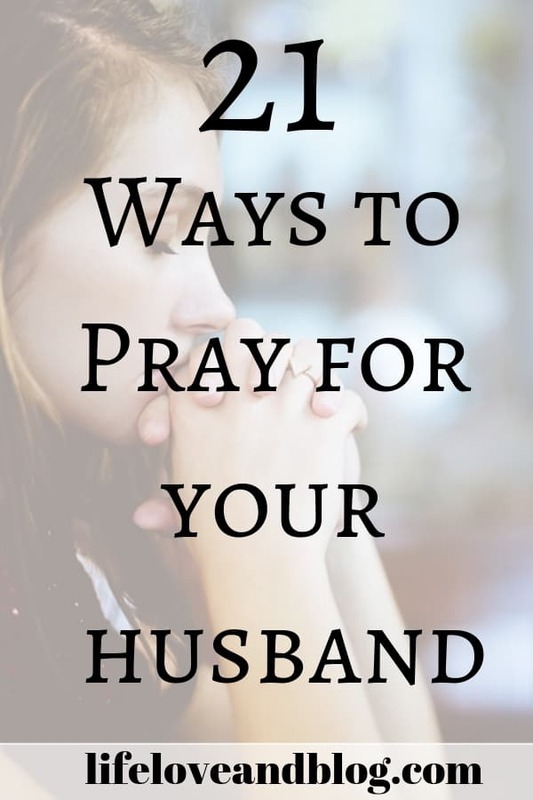 Here’s something I can tell you for certain – your husband needs you to pray for him. He needs your love. He needs your respect. He needs your companionship. He needs your physical touch. He needs your words of affirmation. But, above all things – he needs your prayers. He needs you to pray for him in silence. He needs you to put your hands on him and pray for him. He needs you speaking his name to God on a daily basis. He needs you to lift him up in prayer as he strives to be the best husband and father that he can be. Well, in this post we are going to help you do just that very thing. Below are some of the key areas in your husband’s life where he needs your prays the most. 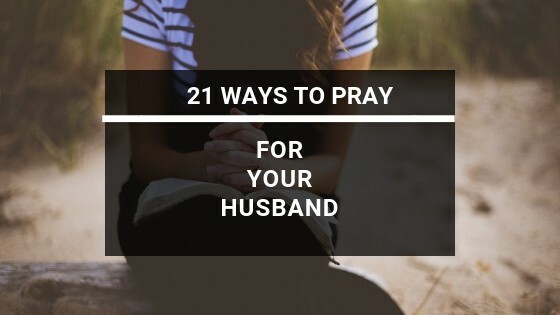 Continue reading to find out our suggestions of 21 ways to pray for your husband. The first thing you should pray for regarding your husband is that he is seeking God’s calling for his life. What is God’s purpose for him? Pray that he speaks with God daily to find his direction and that he will rely on God’s strength and wisdom to carry out his life’s purpose. Being patient is an important attribute for your husband. There are many things and situations that are going to get on his last nerve. Whether it’s his morning commute through traffic into work or it’s trying to fix the dishwasher, many different situations are going to test his patience. Being able to remain calm and work through a situation with patience will help him in his everyday life. Pray that God will grant him the patience to handle all the trying and stressful situations during his day. Being a good leader is an incredibly important trait for your husband to possess. He is ordained as the leader of your family and it’s not an easy job. Pray that God will give him the wisdom necessary to lead your family through the good times as well as the tough. Pray that he will have a vision for how God plans to use your marriage and your family. Pray that your husband will be a man with a kind heart. Whether it’s being kind to the waitress at the restaurant, to a stranger on the street, or with you; you should want your husband to have a kind heart. A heart that loves and cares about others. One that seeks to make a positive impact on those in his life. A humble man doesn’t seek to gain attention or notoriety. He is aware of who he is and what he has accomplished, but he doesn’t seek the glory. He does what he is called to do without doing it for the approval or praise of others. A humble man is going to look to lift others up and make sure they are recognized rather than being self-serving. Pray that God gives him the power of humility in all situations. Men of integrity do not compromise their values. They do not do anything that would cause someone to question their actions. They seek to do what is right and honorable. Pray that God will make your husband a man of great integrity in his public and private lives. Men should be passionate about the meaningful things in their life. Your husband’s pursuit of God’s will, his role as your husband, his role as a father should all be undertaken with great passion. They should be passionate about their careers and how they provide financially for the family. Passionate men succeed and accomplish what lies before them. 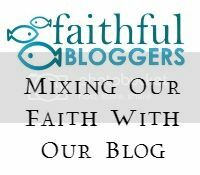 Pray that God will put passion in your husband’s heart so that he deeply pursues the path before him. Christ gave us an example of how to have a servant’s heart. Just as Jesus gives the example of living with a servant’s heart, your husband should seek to live out a life with the heart of a servant to others in his life. Pray that he will seek to serve others rather than seeking to be served. Whether it’s with you, members of your family, friends, or coworkers, pray that he looks to serve. The world is full of temptations. Drugs, alcohol, gambling, infidelity, cutting corners in business are some of the many temptations that your husband may face. Pray that he has the strength to fight and resist the temptations that may come his way. Pray that God will keep your husband safe from harm with his guiding hands. Your husband faces many potential hazards every day. Whether on his commute to work or when he is working around the house, pray that God watches over him and keeps his hand safely on him. How well does your husband take care of himself? Does he understand the importance of getting an annual checkup, keeping a good diet, and getting some exercise? Pray that God will give him good health and will put a burden on him to make sure he is taking good care of himself. Men put great emphasis on their careers. It’s important to your husband that they are seen as successful and ambitious to you and their peers. That’s not a bad thing. It’s part of how he provides financially for your family. However, he should not be so focused on his career that he loses sight of what is truly most important. Pray that God guides your husband, to not only work hard and to be successful in his chosen profession, but to remember to balance his time between work and family. It’s important that your husband be a man of courage. Whether he needs to stand up for you with this family or make a stand for what he believes, your husband should have the courage to do so. Pray that God will give him the courage to stand tall during difficult times and in the face of adversity. It’s important that your husband be responsible with the financial resources that have been provided to you and your family. Money problems are one of the leading points of conflict between husbands and wives. It’s important for your marriage that your husband communicates with you about money and that you two are on the same page regarding financial goals and spending. Pray that God will give him the wisdom and self-discipline to be financially responsible. How well does your husband communicate with you? Does he talk about what is going on in his life? 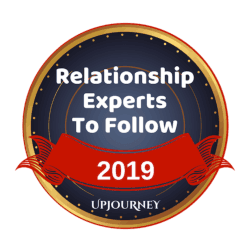 Is he working to create a stronger emotional connection with you? It’s important for your marriage that you and your husband are able to communicate with each other in a positive manner. Whether it’s communication about your respective lives or about the children, pray that God will grant your husband the skills and desire to open up and communicate with you. In order for your husband to find God’s will for his life, he must be routinely speaking with God so that he can grow spiritually. Help him by praying that God will place a burden on him to work to grow spiritually and seek God’s wise counsel. Grace is when you give unto others something that they do not deserve. Mercy is when you withhold punishment from those that are deserving. We are given an example of this through Christ’s sacrifice on the cross. We are given eternal life. We are spared just punishment from our sins. Pray for your husband to be of a kind spirit and show grace and mercy in his dealings with you, your children, and others within his everyday life. Being a good father is a difficult job. Pray for your husband so that he will understand that his children need him to be engaged in their lives. Pray that he is supportive and loves unconditionally. Pray that he doesn’t allow work demands and stresses to steal his time and energy so that there is nothing left for your children. Husbands often get so involved in providing that they neglect the people that he is working so hard to provide for. Pray that he finds a harmonious work / life balance and doesn’t lose sight of what’s important and remember those who need him most. Gratitude is one of the traits that your needs in his life. People who are thankful for what they have have been shown to happier overall with a higher level of life satisfaction. Pray that your husband will show a sense of thankfulness for what you do for him and what he has in his life. Who does your husband spend time with? Friendships are very important, but it is important that he spends time with other men who are lifting him up and encouraging him to be a better husband and father. 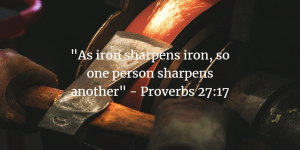 Remember – iron sharpens iron. Your husband is going to be the average of the people who he surrounds himself with. Pray that your husband is surrounding himself with those who will build him up and strengthen him. Your husband, no matter how wonderful he is, is human. He is going to make mistakes. Some of his mistakes will be minor stuff. Some will be big, dumb mistakes. It’s important that your husband has the self-awareness to not only see his mistakes, that he is humble enough to admit his mistakes, but that he has the ability to learn from his mistakes. It’s much easier to forgive something that is a rare occurrence. It will become increasingly harder to continue to forgive something that keeps happening over and over again. Pray that your husband can learn and grow from the inevitable mistakes that will happen in life. Your husband needs your help in so many aspects of life, but he needs your prayers most of all. He is trying to be the best father and husband that he can be for you and your children. He is trying to find God’s purpose for his life, but he needs you praying over him. He is going to struggle at times and he needs you to learn to pray over him. Let him know that you are praying for him. Let him know that you are there to encourage him. Ask him if he as any specific prayer request. Is he struggling with anything particular in his life? Take some time to talk with him about areas where he is struggling. Never underestimate the powers of a praying wife. You have the power to encourage and lift him up so that he becomes the man, husband, and father God designed him to be. Excellent list, Steve. I am a patient, calm man, and still feel a little impatient sometimes. Only the superhuman need not focus on developing the skill. Thanks for sharing. Ryan, thanks for reading and safe travels!